Real Madrid are preparing for the biggest game of their season this weekend as they face Liverpool in the Champions League final in Kiev. Los Blancos will be looking to make history as they aim for a third consecutive European crown, and so it will be crucial for Zinedine Zidane to get his starting line-up spot on. On one hand, he has to figure out how to keep Liverpool’s dangerous attacking trident quiet, as Mohamed Salah in particular has been a prolific figure for the Reds this season. However, he’ll have to balance that with making the right decisions in attack to expose Liverpool’s weaknesses, and he certainly has a wealth of options at his disposal in that department. According to Don Balon though, it’s claimed that Cristiano Ronaldo has put forward his opinion, and he doesn’t want Isco in the starting line-up on Saturday night. The 26-year-old is undoubtedly a delight to watch at times given his technical quality and creativity, and he does have nine goals and 10 assists in 48 appearances so far this season. 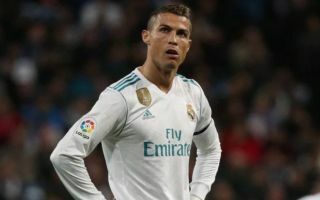 That in turn would make a strong argument in favour of seeing him start in Kiev, but Don Balon note that Ronaldo has a particular issue with his habit of slowing play down and he doesn’t have ‘harmony’ with the Spanish international. Given Zidane can pick from Marco Asensio, Gareth Bale and Lucas Vazquez, the French tactician shouldn’t have too much of a problem in terms of alternatives if he doesn’t go with Isco. Nevertheless, it will potentially have a major impact on their style of play and approach to the game. Should Bale or Vazquez start, it could be a case of soaking up pressure and looking to hit their rivals on the counter-attack with the additional pace they would bring. In contrast, start Isco and they may opt to dictate the tempo of the game and dominate possession. It’s going to be a potentially crucial decision.